Lately, a lot of my food friends are making granola. I’ve received two gift bags of the crunchy stuff in 2010 and have loved every crunchy, roasty, yummy, Birkenstockish mouthful of the stuff. Instead of granola, I’ve reciprocated with a gift of muesli. No one gets too razed up when I hand over a bunch of beige flakes with white-dusted pieces of fruit. But who can blame them? It’s an odd little breakfast item that Swiss physician Maximilian Bircher-Benner came up with some 110 years ago. My guess is ol’ Maximilian and I have a lot in common. We both know muesli will have you living a lot longer than a daily diet of morning bacon and eggs. But did the inmates at his Zurich sanatorium understand the true secret to muesli success? Namely: Muesli must not stand alone. It’s an add-in, not the solo act. It needs a crunchy counterpart to come alive in your breakfast bowl, so add some flakes. (I like Nature’s Path Heritage Flakes, a name that doubles over my 16-year-old son in mirth.) I also like a fancy afternoon snack done up in a wine glass with berries and yogurt layered on top of each other, all parfait-ed up with a sprinkling of muesli and maple syrup on top. 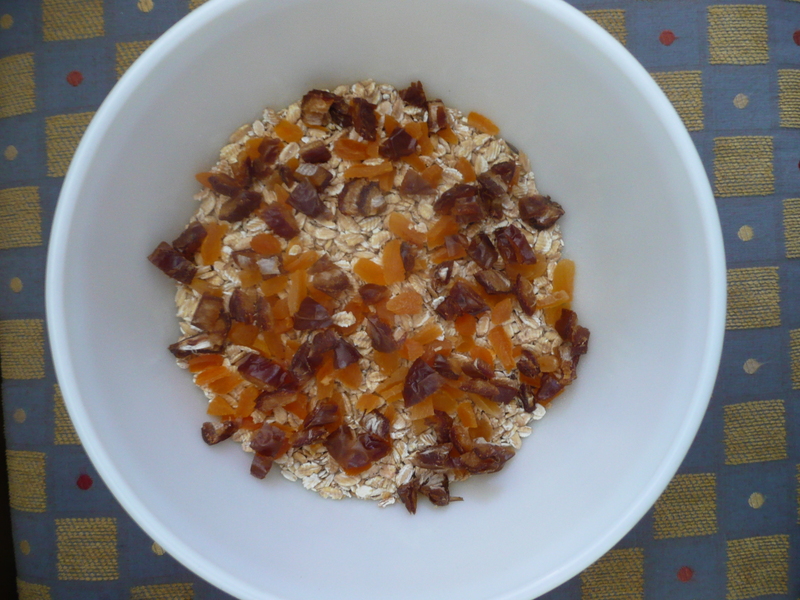 And nothing beats a dusting of muesli on top of that quintessential baked fruit, the lovely quince. About six months ago I was staring at a pricey box of muesli in my neighbourhood IGA. The brand was Dorset and their pretty packaging stuffed with flakes comes all the way from the UK and will stun you dumb with sticker shock. I may be a penny pincher but I’m not silly enough to ignore an ingredient list. Luckily I remembered most of it after dashing across the Danforth and landing in Strictly Bulk, ready to mix up my first muesli. This, my dear blogites, is what I came up with. It’s a no-brainer and totally up for creative interpretation – feel free to mix and match to your hearts content. This entry was posted in Food talk, Photos by Madeleine Greey, Recipes. Bookmark the permalink. What’s wrong with instant oats? I have a staff of two (this month only, alas) looking after my breakfast and I would not ask them to hover for 25 minutes while “real” oats did their thing. It’s all about texture, which is so subjective. Nutritionally, the faster-cooking instant and quick oats are no different than rolled oats. But for me, rolled oats are the way to go for slow-cooked oats, muesli (which is not cooked) and oatmeal cookies. Essentially, I don’t like the macerated gunk of quick! My French mother forced me to eat Muesli when I was growing up, so naturally, I developed an aversion to very look of the dusty flakes, and gravitated towards glossy, crunchy granola in my adult Birkenstock years. 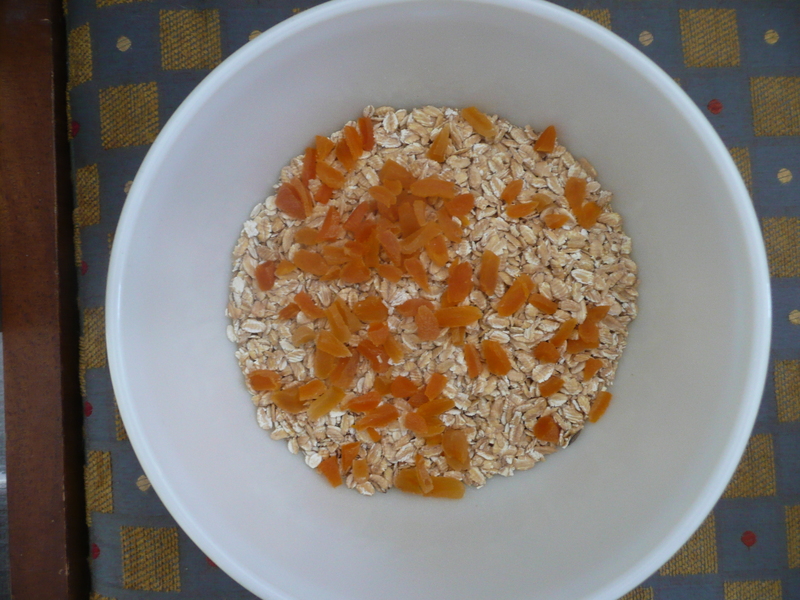 But just lately, I’ve started mixing Muesli into my granola, to soften it, and am surprised by how much I like it. 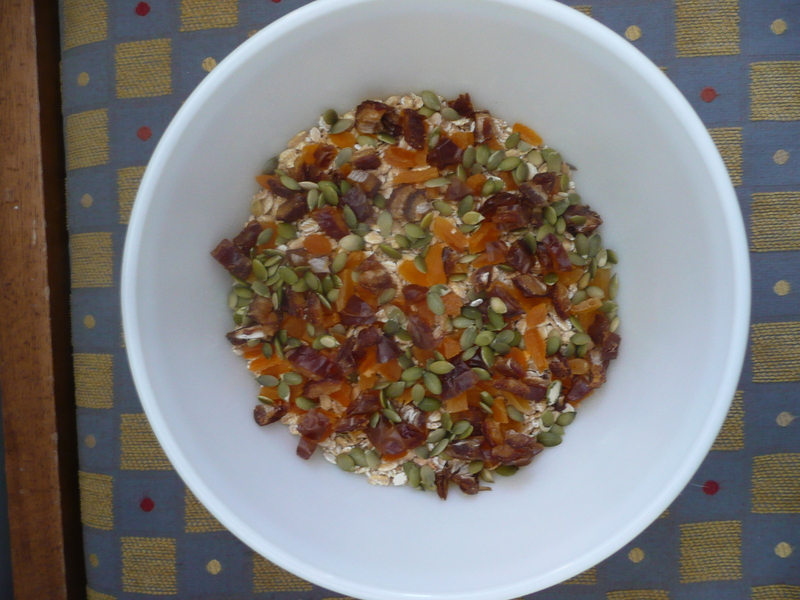 So I agree, Muesli can’t stand alone – and I’m eager to try your recipe, with and without accompaniments! What I want to know is this: why are all these middle-aged women suddenly eating so much granola?? 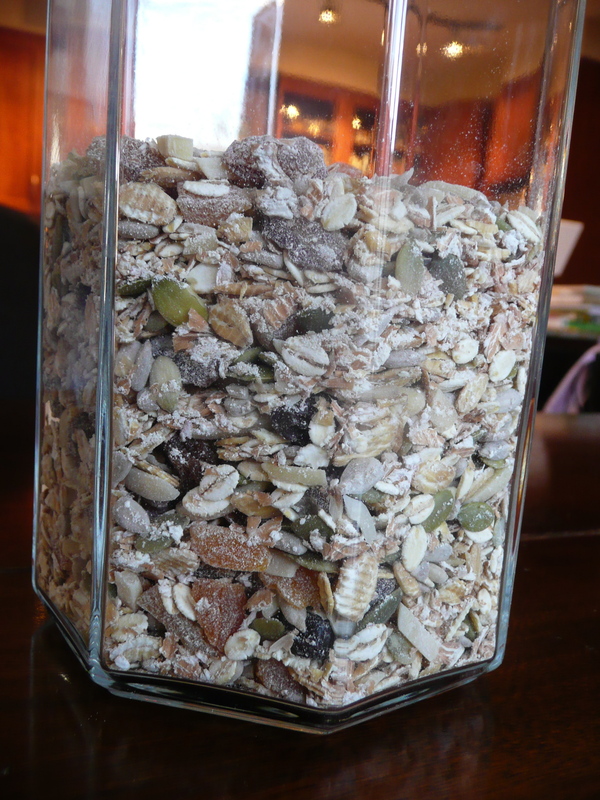 If you have been on the giving or receiving end of a gift of granola, I want to hear from you. It’s a trend.